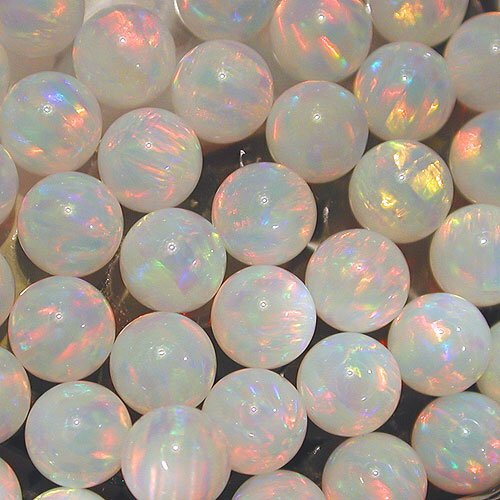 Our white 6mm sphere opals are opaque, flash every color of the rainbow and are perfectly polished. Behind glass, these stones look huge and sparkle in a big way. You will impress even the pickiest customer with these opals.